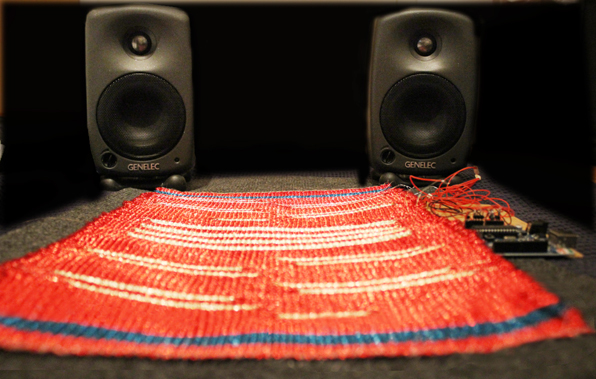 The CARPET OF SOUND is a textile sound object and an electronic instrument. Woven from conducting as well as non-conducting wires, this electro-dermal interface has to be played barefoot and generates electronic sounds. Un-isolated copper areas on the carpet conduct electronic signals when getting touched by the soles of the feet. They trigger and modulate sounds. The performer acts as a composer by walking, dancing, standing, touching and shifting weight on the carpet. 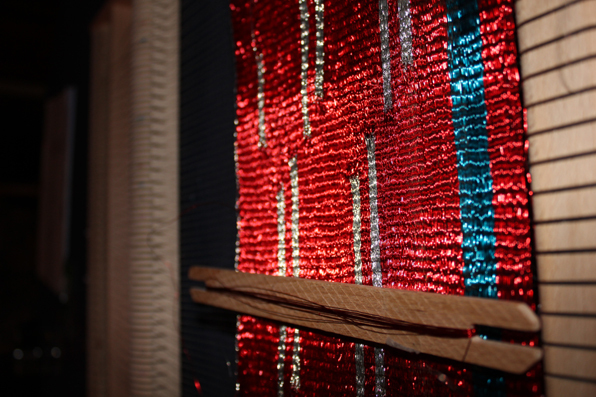 The tactile sensitivity of the soles as well as the ritual aesthetics of the performance are special aspects of this work.